We're delighted to announce the successful entry in the Paul Spragg Memorial Short Trips Opportunity 2018 is being released this month. The annual Short Trips Opportunity encourages new writing talent - talent that was always championed by the late Paul Spragg. It’s been over three years since Big Finish received the terrible news that Paul Spragg, the cheerful, much-loved person at the heart of the production office, had died suddenly. In memory of Paul, Big Finish set up the Paul Spragg Memorial Short Trips Opportunity in order to find and encourage new writers. A phenomenal number of entries were received in 2016 and 2017, and this year it’s gone from strength to strength. 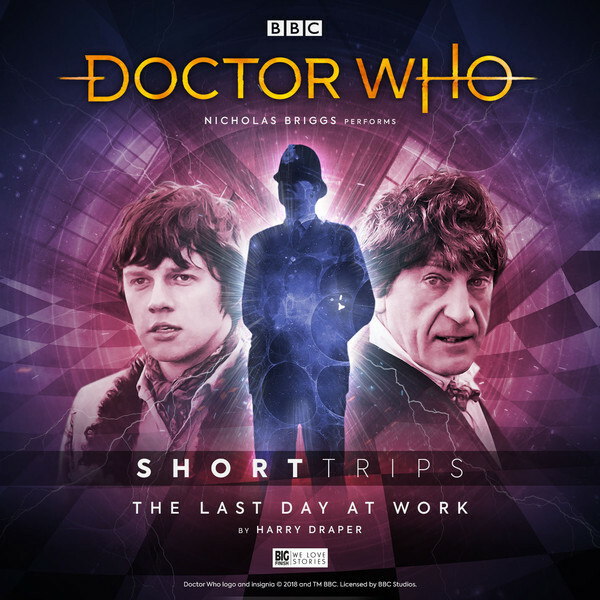 Out of all the fantastic stories, many congratulations again to Harry Draper for his Short Trip, The Last Day at Work, which will be released this December absolutely free for Big Finish listeners. Harry told us about his love of Doctor Who and his Short Trips entry: “My passion for Doctor Who is the reason I became a writer. I'm currently studying at Edge Hill University in Lancashire for an MA in Creative Writing. I never expected that, during that time, I would be asked to write the words, 'There was a wheezing, groaning noise…’! On 8th July 2006, I caught Doctor Who on BBC One, as Daleks and Cybermen waged war in Doomsday, and only the Doctor could stop them. And after all this time, here am I – penning a Doctor Who adventure for Big Finish! The Last Day at Work will be released later this month, free for all Big Finish listeners. Until now... ... but then what happens? He was the captain of a ship once. Since being stripped of his authority, he is lost. Landbound. Then he meets a kindred spirit, a man who has also lost something.